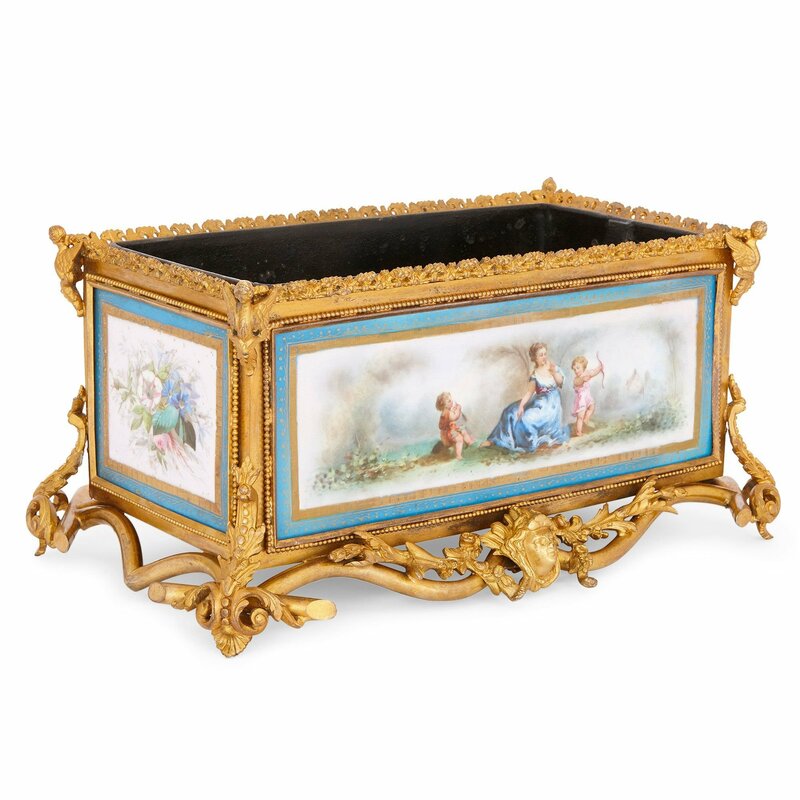 This French Rococo style ormolu jardiniere dates from the 19th Century and features four delicately painted Sevres style porcelain plaques. 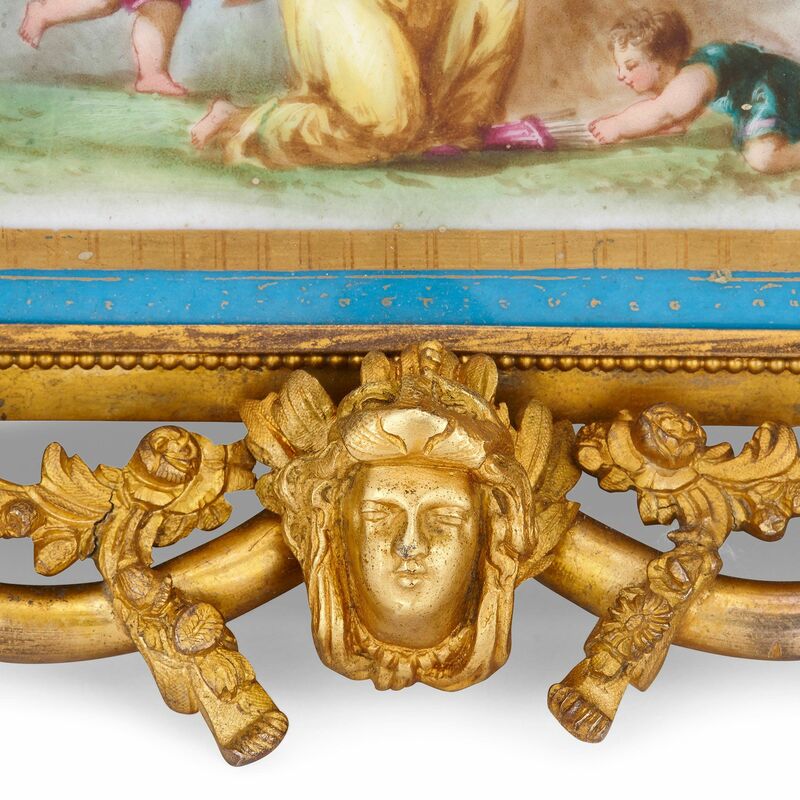 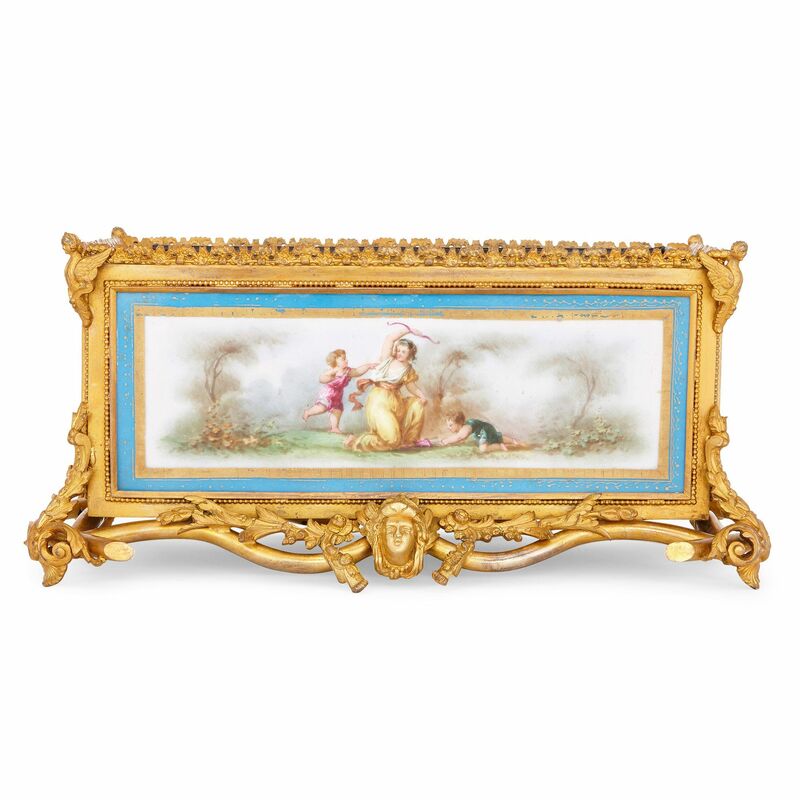 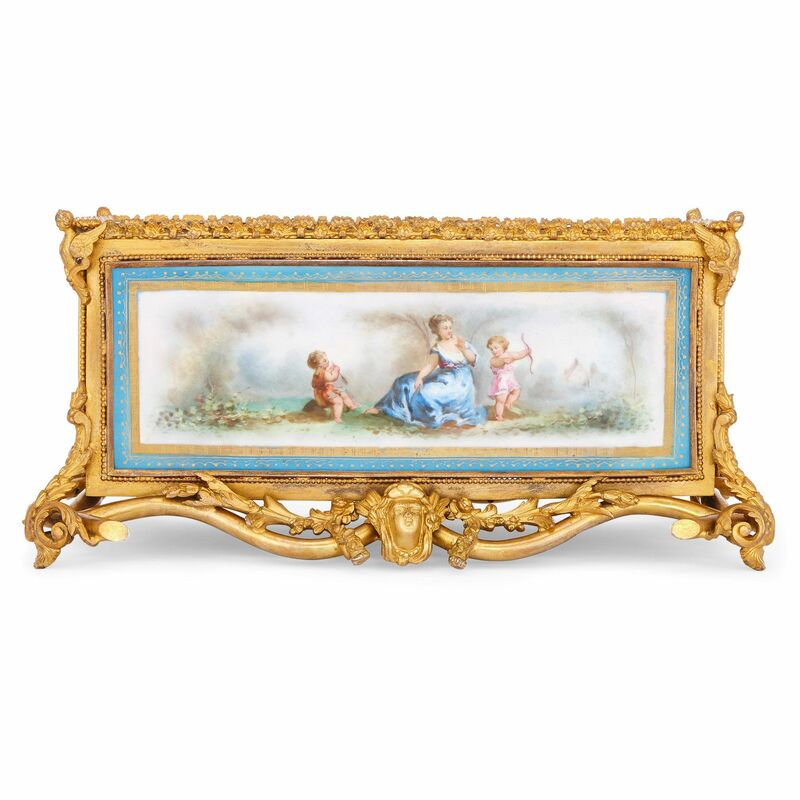 The rectangular jardiniere is formed of four Sevres style porcelain plaques, each held within an ornately cast ormolu frame. 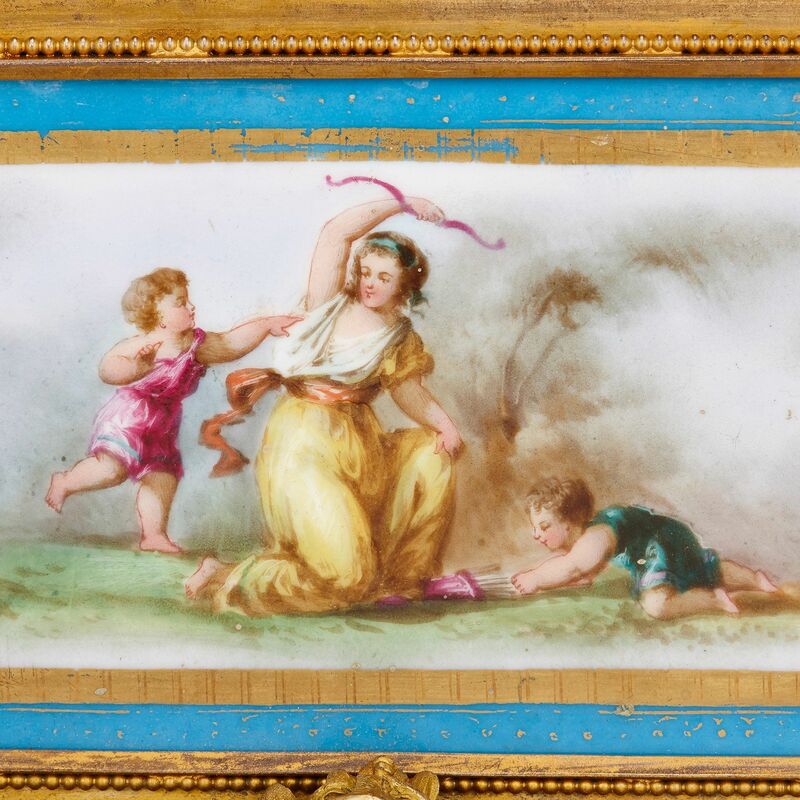 The two larger porcelain plaques each depict a woman, one in a blue dress and one in a yellow dress, playing and frolicking in a landscape setting with cupids, set within a turquoise border with gold highlights. 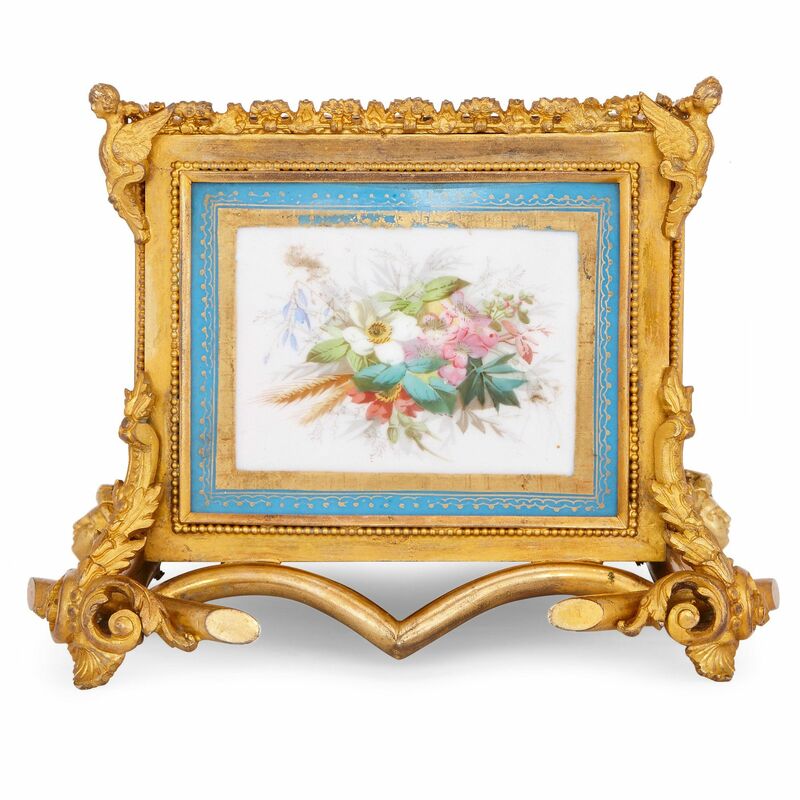 The two adjacent smaller plaques each feature painted floral arrangements, similarly bordered with turquoise and gold. The jardiniere sits on a punctured ormolu base of stylized branches and scroll forms, featuring a central classical head to the front. 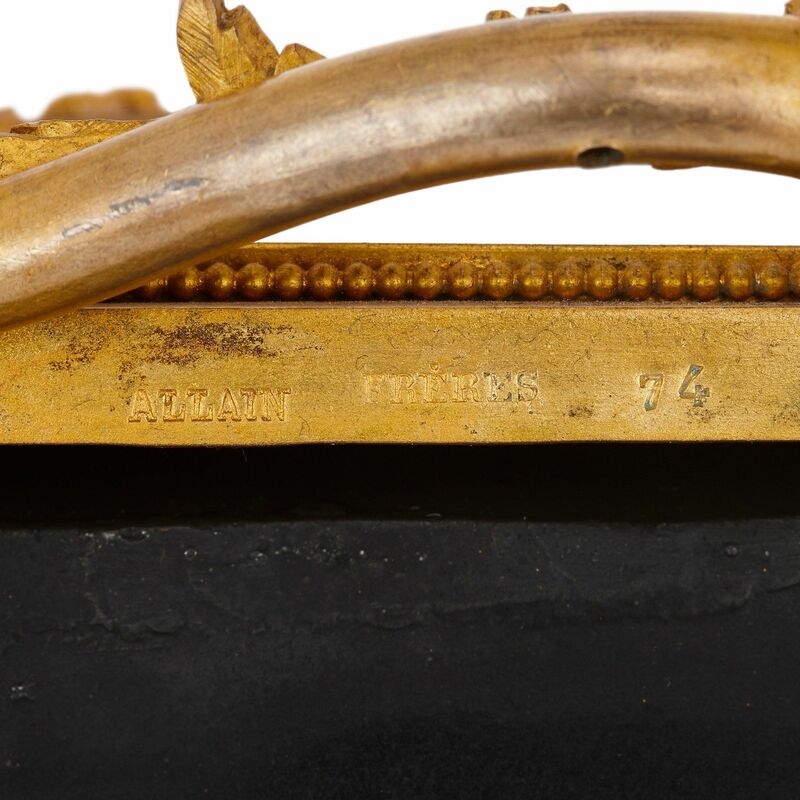 Stamped to the interior "ALLAIN FRERES 74"